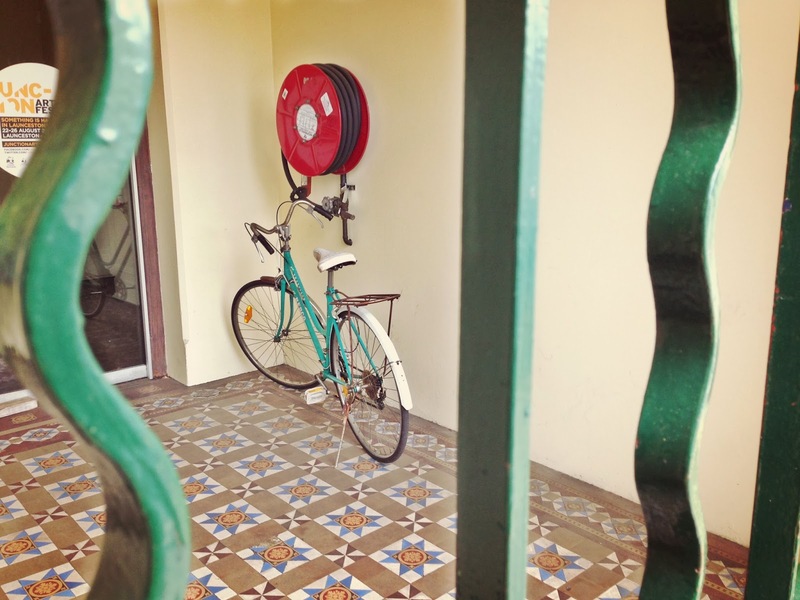 When there's nowhere official to park your bicycle, what to do? Lock up to any old thing outside? Or take it right into work and safely behind bars? That was the convenient solution for the owner of this (probably 1980s) Repco, sealed within an entry to Albert Hall in Launceston last spring. 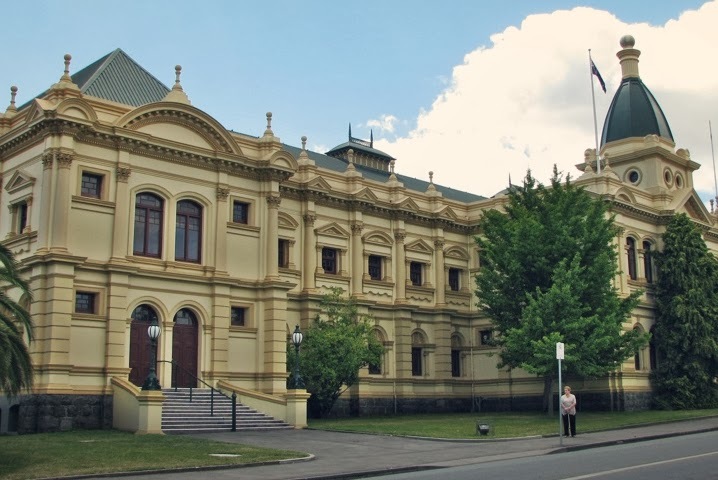 Albert Hall - Launceston, Tasmania. It rather makes the humble Repco feel regal, don't you think? It certainly makes you inclined to forgive the absence of an official bike rack.